The picture below shows you how to properly plug in the ION wireless using the cables provided. 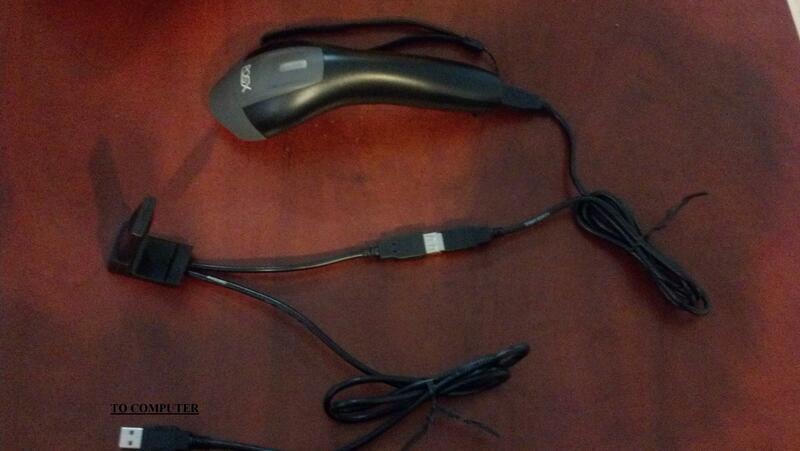 If your ION Wireless Scanner is not scanning, then it may need to be either paired with the receiver, or reset. 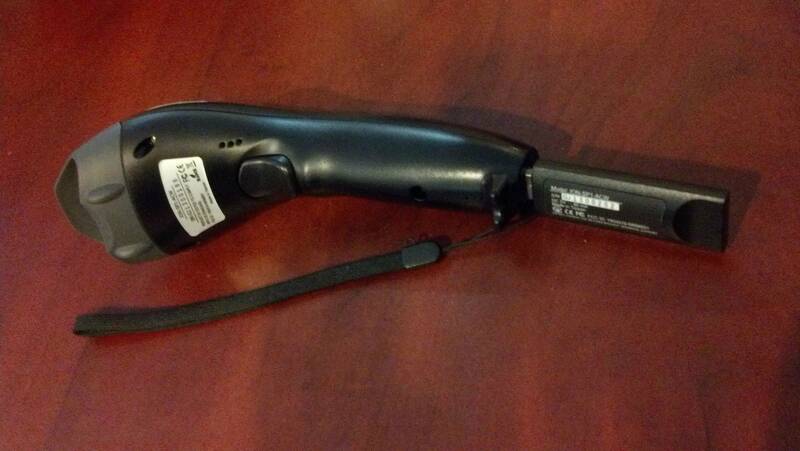 Simply plug the USB Receiver in to the Barcode Scanner, and pull the trigger. 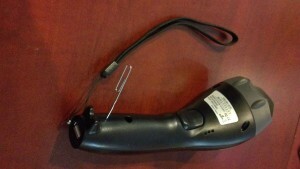 The Scanner is now paired with the Receiver, and can be returned to a USB Port on the computer system. Simply push a paper clip in to the reset hole on the handle. The scanner will need to be paired with the receiver after being reset.